I’m a bit of a productivity geek. If you’ve been a subscriber to this newsletter for a while, you know that many of my tips are about tools, platforms, programs, and websites that in some way help increase your productivity. 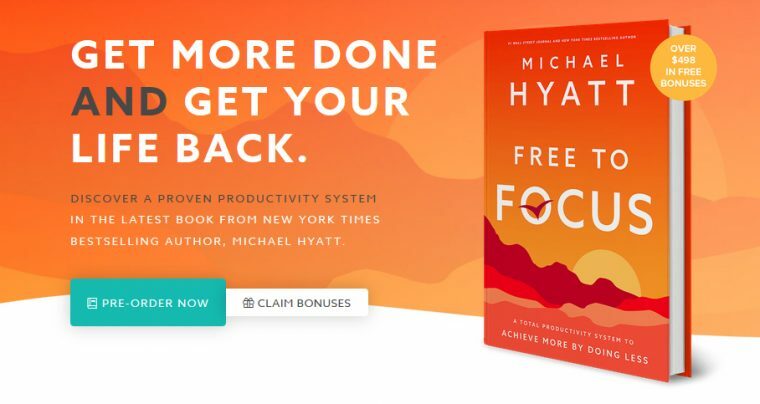 My friend Michael Hyatt is also a productivity geek and his new book Free to Focus: A Total Productivity System to Achieve More By Doing Less will be available next Tuesday, April 9, wherever books are sold. I highly recommend you get a copy. 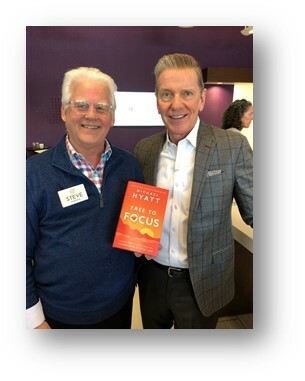 Over the years, Michael and I have talked a lot about the tools and processes we both use to maximize our productivity. A few years ago, he put together a course teaching the principles he has learned about how to increase productivity. It is not about how to do more. Michael and I at the last BusinessAccelerator meeting. I have taken the online course, attended the Free to Focus Live event and, for the last three years, been part of his quarterly BusinessAccelerator coaching program. This stuff works! What I like most about his system is that the process helps you think about what you need to stop doing so you can achieve more. The Free to Focus book provides you with the complete system for a fraction of the cost I paid. 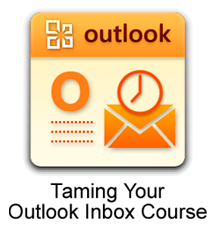 Free to Focus is a total productivity system to help you thrive amid our complex modern work environment. By taking the actions Hyatt recommends, you’ll discover you have the time and energy to slow things down and focus on what matters most in life personally and professionally. 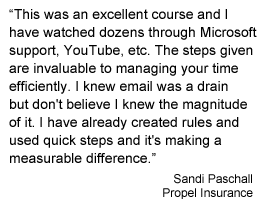 There are three modules with three lessons each for a total of nine. Each lesson builds on the previous, so you should resist the temptation to jump ahead. Module 1 is Stop: The first thing you need to do is get clear on the problem. It’s impossible to do meaningful work when you’re racing through an endless barrage of low-level tasks and interruptions, yet that’s how we spend our days and weeks, sometimes our entire lives. The lessons are Formulate – Decide what you want, Evaluate – Determine your course, and Rejuvenate – Reenergize your mind and body. Once you have a clear view of where you are and what you want, you can move on to Module 2: Cut. What you don’t do is just as crucial to your productivity as what you do. Michelangelo didn’t create David by adding marble. In this module, you’ll break out your chisel. The lessons in this module will help you learn how to eliminate, automate and delegate. Now that you have cut out all of the nonessentials, it’s time for execution. That takes you to Module 3: Act. In this module, you’ll learn how to accomplish your high-leverage tasks in less time and, more importantly, with a lot less stress. The first lesson is to Consolidate. You will see how to maximize your focus by planning your Ideal Week. Then, you’ll Designate. That means you’ll stage tasks, so they fit into your schedule. Last, you’ll Activate by eliminating interruptions and distractions so you can focus on the deep work that moves the needle on your goals. Each of these nine lessons includes exercises to get you started on putting these concepts into practice right away. Once you order the book from your favorite bookstore (online or off) go here to enter your receipt number to receive the bonuses. I do hope you’ll consider purchasing this book and making a small investment in your productivity. I do believe being productive is not about doing more but doing more of the right things. Let me know if you have any questions by leaving a comment below. 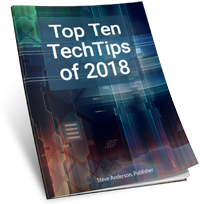 Sign up to receive my weekly TechTips for power tips and ideas to save you time and money and get a FREE copy of Top Ten TechTips of 2018. Privacy Guarantee: I will never share your email address with anyone. I provide information to insurance agents about how they can use technology to increase revenue and/or reduce expenses. My 30+ years in the insurance industry gives me an added edge to speak professionally to hundreds of agents each year at National Alliance events and at many state association conventions and technology forums on the future of technology, the social web, and how insurance agencies can establish their Internet presence. 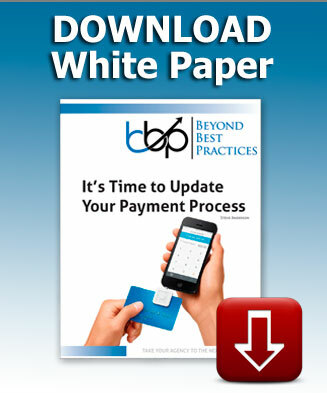 I have authored many articles that have appeared in virtually every insurance industry publication. 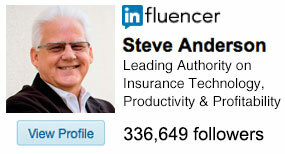 Recently, I had the honor of being named one of the top 150 LinkedIn Top Influencers. My wife tells me I have a knack for translating “geek speak” into easily understood concepts. Check out my listing of LinkedIn Influencer posts. Can You Spot When You’re Being Phished? ©2019 Steve Anderson. Powered by the Get Noticed! Theme.